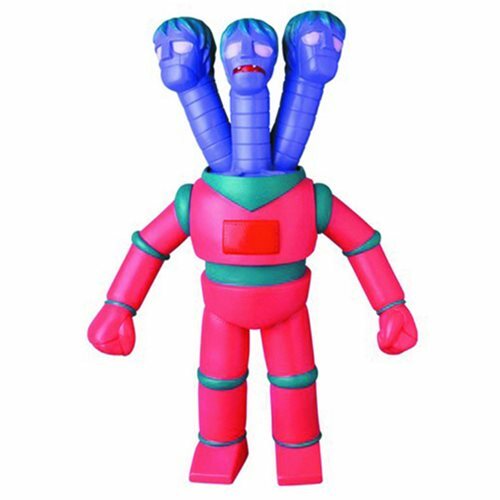 What is pink, blue, and has three heads? The Kikaijyu Rokuron Sofubi Vinyl Figure! The chilling Mazinger monster stands just over 11-inches tall. Ages 13 and up.